MUST Save It Forward's mission is to eliminate hunger for at-risk students in local schools, giving them a greater opportunity to succeed in school and life. We partner with schools by providing food and toiletries to children and families in need through our campus-based food pantry program. We work very closely with school social workers, counselors and staff to identify children and families in crisis. Once a month, including the summer, families can come to the pantry and choose items their families need and enjoy. Below you will find more information about how you can assist these children and their families in your community. 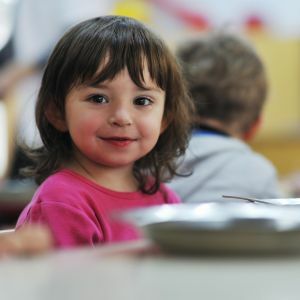 1 in 4 children in Georgia does not have enough to eat. This is equivalent to 650,970 children. Email [email protected] and request to be added to our weekly email distribution list. You will begin receiving emailed shopping lists each week. The total cost of items on each list is less than $6. The items can be dropped off at the MUST Donation Center, 1280 Field Parkway, Marietta, any time Tuesday - Saturday, 9 a.m. - 5 p.m. Volunteers are needed to sort through food donations, stock shelves, and serve families. For more information about MUST Save It Forward, please email [email protected]. To designate a donation to MUST Save It Forward, please click here. To see a list of our schools, please click here.